Can you make money blogging? I get that question a lot. And honestly, I don't mind answering it simply because I want to empower other moms to create opportunities for themselves. The short answer: Yes, you can make money blogging. The long answer: It takes a lot of work! I have been blogging for four years. But only in the past year have I began making a consistent income from it. Blogging has helped my family pay for Issie's birth in 2013, fixed my car AC. Paid for a trip to Disney and put a new roof on our house. So yes, you can make money blogging. 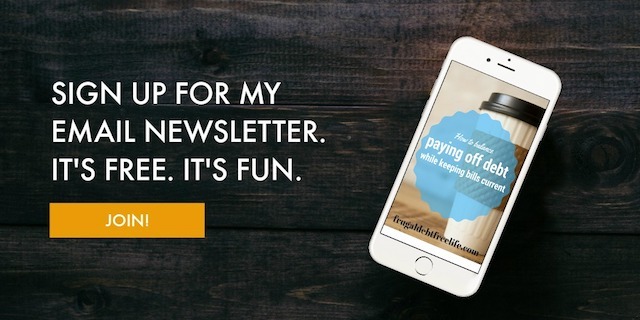 There are a few ways to earn some cash through your blog. I will break down the ones that I use. Companies will give you an ad to place on your site and then you get a percentage or a flat fee when someone makes a purchase through that link. I mainly use the Amazon Affiliate program. Amazon is a company everyone knows, a lot of people use it and I trust the way they do business. When I put a link to a product or an ad on my site and someone makes a purchase through that link I earn a small (very small) percentage of that sale. With Amazon you have to meet a certain threshold each month before they will send you a payment, however, they will allow you to earn Amazon gift cards if you don't reach that threshold. This works for me because I buy diapers, toilet paper, laundry detergent and other items through Amazon. When using an affiliate link of ANY kind you must have a disclosure agreement. This is something the FTC requires of you, but it's also just ethical. Anytime you are doing anything to earn money you need to do it with integrity. 2. Join a network and work with brands. This is the way I have earned the most money on this blog. I am a part of two network groups, Sits Girls and The Clever Girl Collective. These networks are geared toward female bloggers and they have been so wonderful. Through these networks I have worked with brands like Home Depot, Unilever and Pinnacle Foods. These companies have sent me products to try and then paid me to talk about those products, giving my honest opinion. I was paid to write those posts. Again, you must disclose this to your readers. You always want to be honest and upfront with people. Always. Good old fashioned ad space is a great way to earn a little bit extra on your blog. I offer ad space for a variety of price ranges and as a blogger this is very easy to maintain. However, you have to work for these ads, you have to seek out companies and that can take some (or a LOT) of effort on your part. You can make money blogging. But like anything it takes hard work and focus and a little hustle. But if it is your goal then I urge you to go for it. It's important to create opportunities for yourself. Have you ever considered blogging? Do you blog? Tell me about it in the comments!